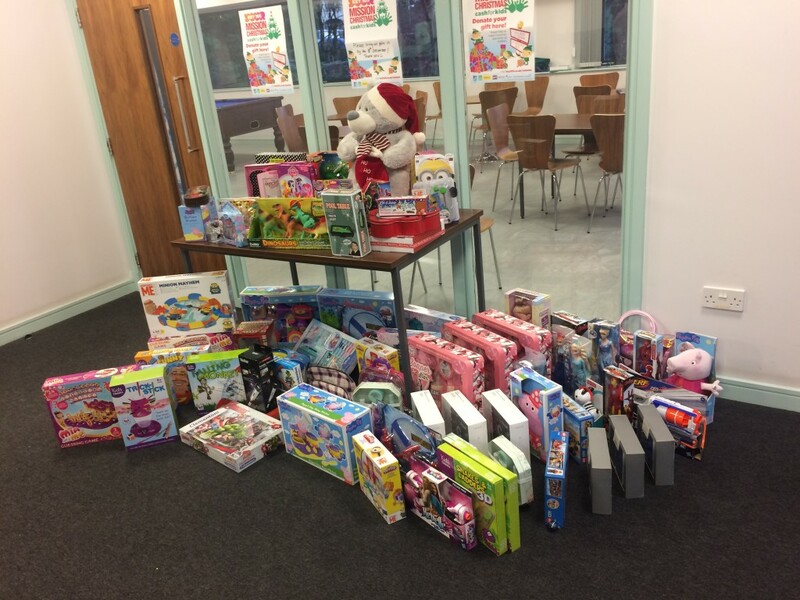 Home → Charity News → Crown Oil Donate Toys For Mission Christmas! With Christmas just around the corner, it’s hard to not feel the excitement in the air! Unfortunately, not every child gets to feel the same excitement about Christmas as I have or yourself! For these kids, local radio station Key 103 and Cash for Kids have partnered with businesses to launch Mission Christmas so that people can donate toys and money for some underprivileged children to open on Christmas morning! Here at Crown Oil, instead of running Secret Santa this year, we decided to get involved and donate toys for this truly amazing cause! Ready for wrapping up! We were able to get quite a hoard of presents which will hopefully put a few smiles on a few faces! 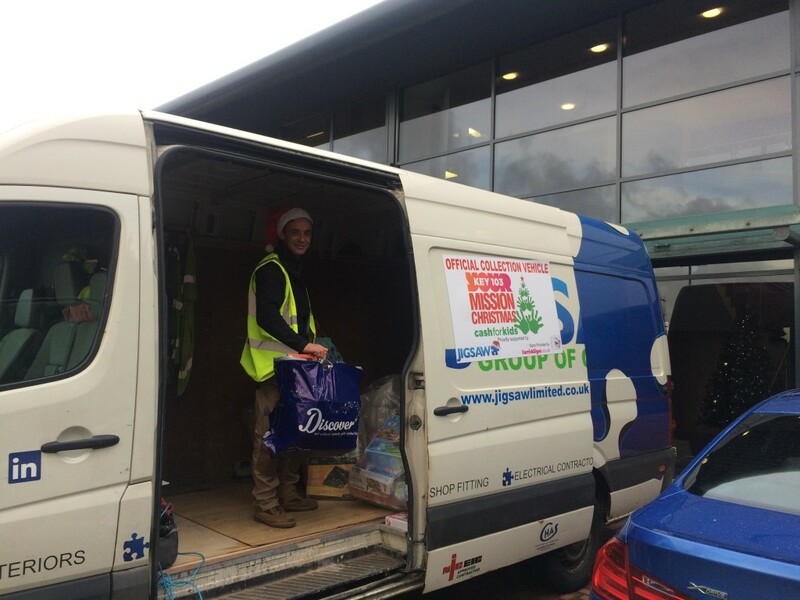 Christmas Collection – The good people from Mission Christmas came and collected all the toys and took them away to be wrapped up for the kids! I hope these all fit on Santa’s sleigh! 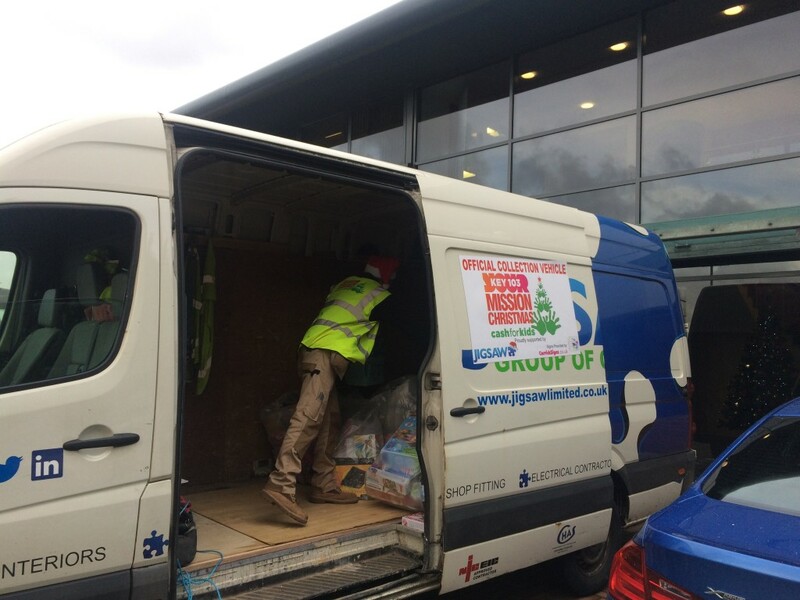 The van is starting to fill up which means lots of other people have joined in and donated to this fantastic cause! 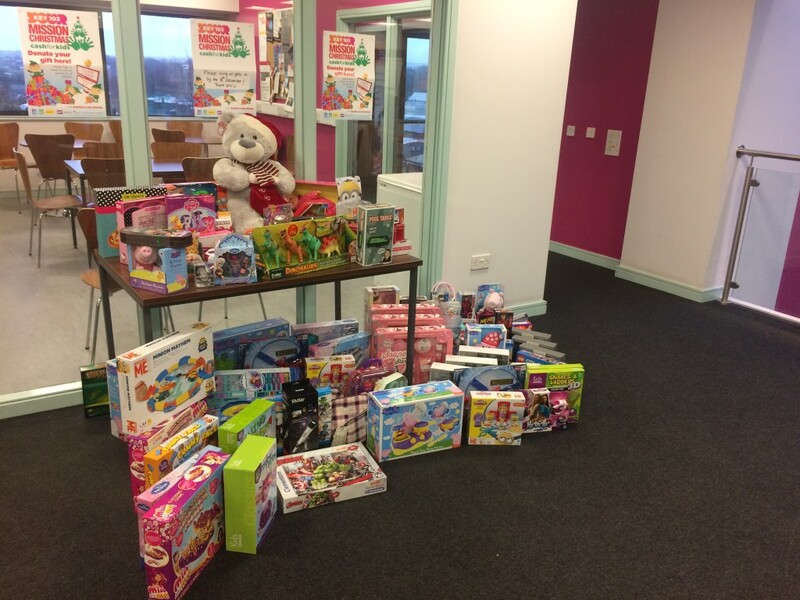 We wish all the kids a very Merry Christmas and hope they enjoy our presents for them!